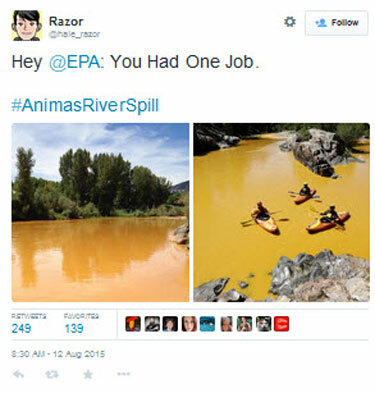 3 Feedbacks on "They Had One Job"
The EPA has mandated that orange is the new blue. I wonder if when those kayakers after they had traveled back home they ere charged with polluting a public roadway or if they rinsed their boats off they were charged with polluting the ground. Msm is kinda quiet. Will anyone be fired?